Now, you can experience "A Little of Austria...A Lot of Vermont year-round! 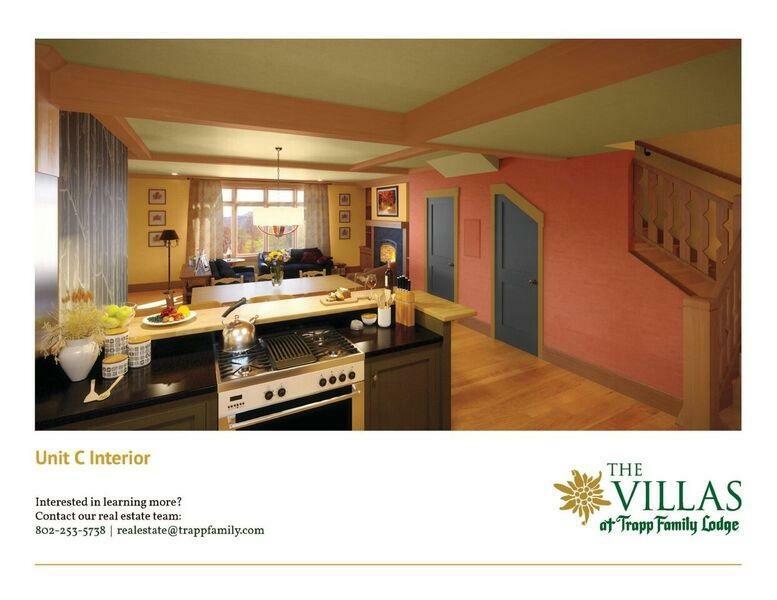 We are pleased to announce the development of new 2 bedroom, 2.5 bathroom, plus loft Villas for ownership. 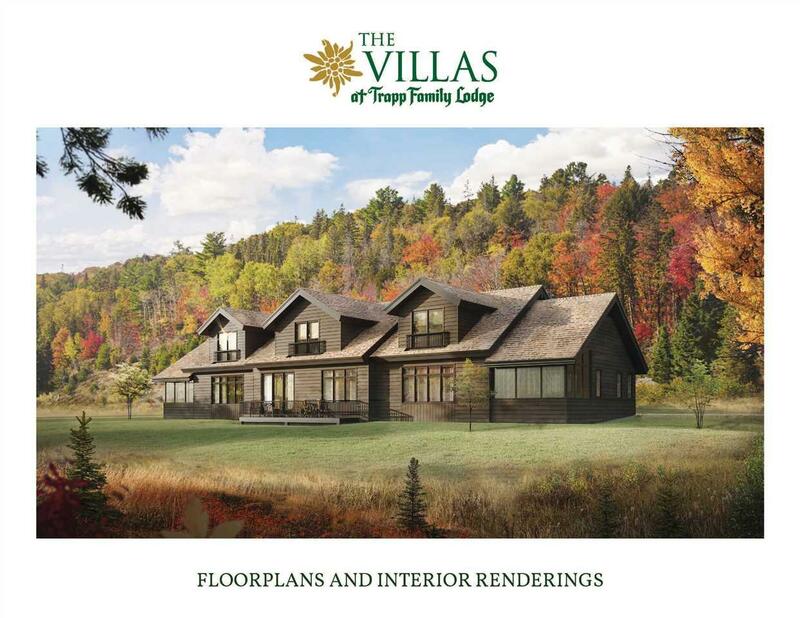 These Villas feature exceptional craftsmanship, tasteful rustic decor, and offer access to all of the Trapp amenities and activities that you and your family enjoy. Plus, with professional on-site management you can enjoy worry-free livingall in a private and beautiful Vermont setting. Our version of Gemtlichkeit in Vermont. 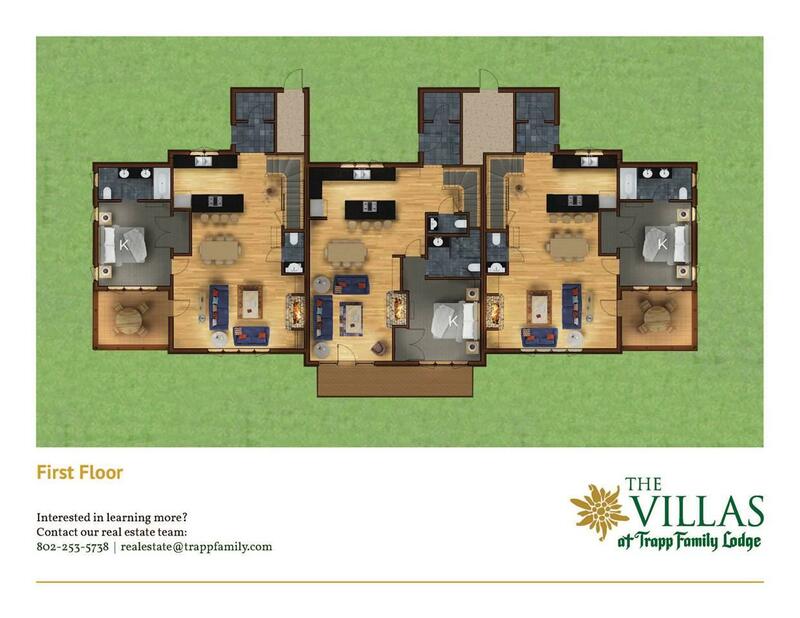 The Villas at Trapp Family Lodge townhomes are two story units, each with a spacious 2 bedrooms, 2.5 bathrooms, plus loft providing you with ample space for a game room, family room, or a quiet retreat with a good book. Units feature: Oak flooring, Maple cabinetry, Underfloor heat in the mudroom and full bathrooms, Air conditioning,Custom finishes,Juliet balcony, Gas burning fireplace in the living area, Reserved parking for two vehicles. 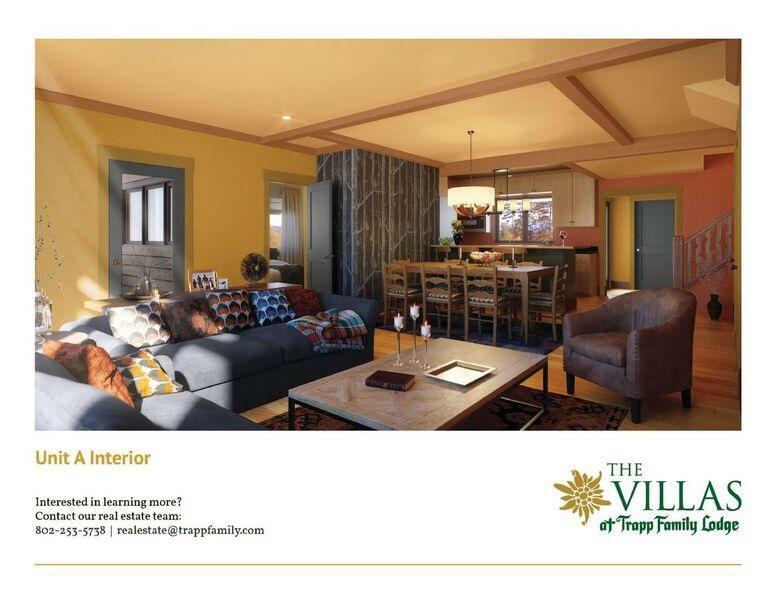 If you like, you may select an optional interior furnishings package to complete your new Villa in Trapp Family Lodge style. Choose a Villa with a screened porch or deck overlooking the Worcester Mountain Range. HOA fees include common area landscaping, general and administrative fees, professional management fees, engineering and contract labor for common area repairs, common area road maintenance and snowplowing, common area security, property, general liability and other insurance for common elements and a capital reserve fund.